Your home’s roof is usually being ignored, even though it plays a significant role in protecting other parts of the house. It protects all your possessions inside the home and the entire house from rain and weather changes. If trees surround your house, you should expect to find leaves, branches, and other debris on your roof. The birds and the wind can also bring other rubbish to this part of the house. Regularly cleaning the roof will help you maintain the integrity of the roof. This is something that is not done merely for aesthetic purposes but also for the protection of the materials. If you want to make sure that the building materials under your roof are protected, you should consider eliminating debris. When twigs and leaves start to pile up on the roof, your gutters will inevitably suffer. All the debris will eventually weigh down the drain and will cause clogging. In this case, the water may overflow to the side of the house and may affect the other parts of your property. During winter, even the milder ones in Florida, this problem can cause more serious damage to the roof. The debris has to be removed from your roof before the inspection is done. This way, it is easier for you to view and check if some parts need replacement or repair. 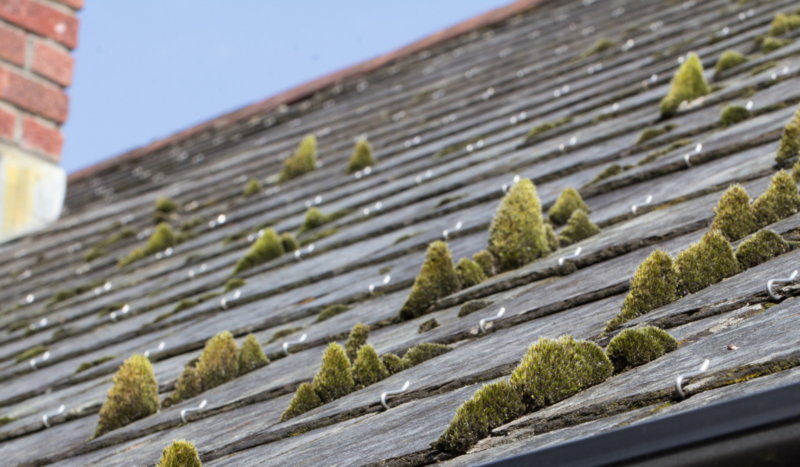 If the roof is clean, you will easily determine if there are missing shingles or some loose parts that need some attention. A roof inspection company can help you do this job efficiently. If you keep on ignoring the debris on your roof, you will eventually spend more money on repairs and replacement that could have been easily avoided. Leaves and branches may not look dangerous, but the moment they cause clogging and conceal some damaged parts, you could experience a bigger problem. Cleaning the roof regularly is one preventive measure that can help you save money in the future. Eliminating debris and cleaning your roof is not an easy task. You will surely need the help of an expert for this. If you want to make sure that the roof is clean and you also need assistance in checking if some parts need repair, you should get professional help. Apple Roof Cleaning is certified to do roof inspections. At Apple Roof Cleaning, we are also known for our dependable roof cleaning services in the Clearwater area. With our well-trained staff, you will surely get your money’s worth. After ensuring that the roof is clean, you will get a written warranty and a roof report. For your roof cleaning needs, contact us now at 727-277-2524.